Prof. Subhash Ranade is one of the foremost experts on Ayurveda, he is a leading academician and physician in the field of Ayurveda and ha authored more than 75 books on Ayurveda and Yoga. He has also published hundreds of articles on Ayurveda and Yoga in various magazines and newspapers. He has worked as Prof. and Head, Dept. of Ayurveda, Pune University and Principal of Ashtang Ayurveda College, Pune, India. He is also Chairman, international Academy of Ayurveda, Pune, India. This Institute imparts Ayurveda courses, Panchakarma and rejuvenative treatment for foreigners and Indian in Pune and Goa. Professor Subhash Ranade has given many television interviews on Ayurveda, not only in India but also in Poland, Italy and Germany as well and has also attended many International and National seminars on Ayurveda and yoga. He has the honour of being visiting Prof. to many Institutes in the United States like Ayu-Seattle, American Institute of Ayurveda, san Francisco, USA; SEVA Academy, Munich and Veda Klinik, Charlottenhohe, Germany; Ateneo Veda Vyasa Savona and SKA Ayurveda, Milan, Italy; school of Ayurvedic Culture, Barcelona, Spain; Body-Mind-Health, Zurich, Swiss; Ultimate health centre, Athens, Greece; and Foundation for Health in Warszawa, Poland. His pioneering work in the field of CD-ROM'S like Dhancantari, Marma and massage have been whole-heartedly welcomed and highly appreciated by the Ayurvedic World. Since 1981, he has visited and conducted hundreds of Ayurveda courses for medical practitioners in Europe, Canada, USA and Japan. 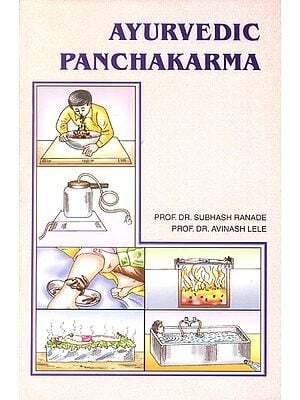 Dr. Avinash Lele is the director of Internationally Academy of Ayurveda which is imparting education of Ayurveda, both in theory and practicals in Massage, Panchakarma, Marma and other special methods in Ayurveda. In his own private clinic, he has done thousands of Panchakarma procedures since1980. He has his own private Ayurvedic hospital in Pune and is Hon. Physician and Prof. of Surgery at Ashtang Ayurveda College, Pune. He is also working a visiting Prof. to New England Institute of Ayurvedic Medicine in Boston, California College of Ayurveda, Ayurvedic Institute of American in USA and Ateneo Veda Vyasa in Italy. HI Prof.I'm from Mauritius I'm interested in taking courses in Ayuevedic and Panchakarma therapy for Rejuvenative treatment .Will you please tell me do you give these courses and if yes the price and details.With thanks.Best Regards. A blessing day to you Prof.